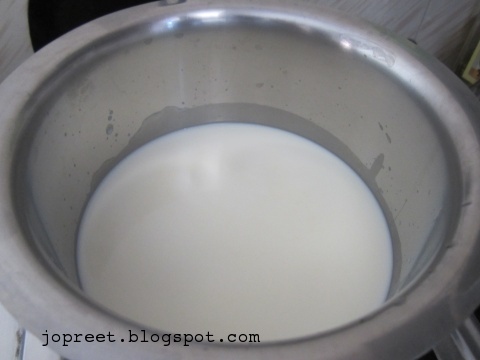 Heat the milk in a vessel and when it starts boiling, add curd to it. 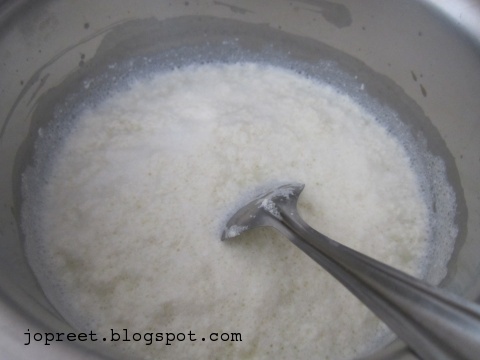 Stir the milk frequently on medium low flame. When the whey separates, remove from the heat and keep aside. 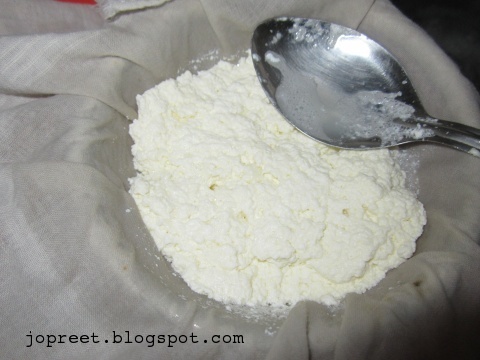 Drain the whey with the help of a cotton cloth. 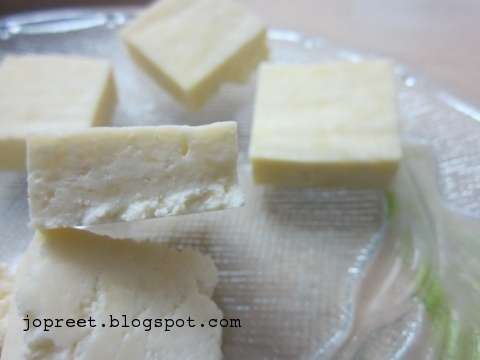 Drain the water completely from paneer and keep on a plate. 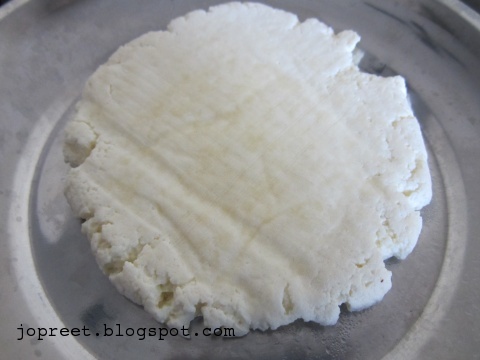 Cover the paneer with a cotton cloth and press with another plate. Keep heavy weight over it. Keep it under weight for 3-4 hrs. 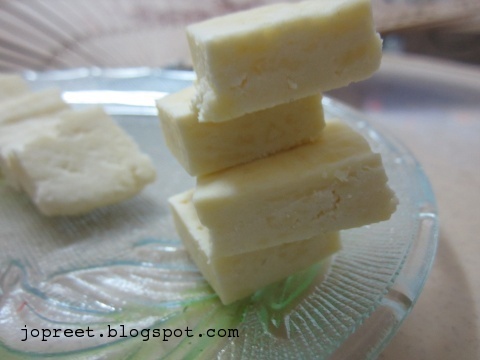 Paneer is ready and you can keep it refrigerated. Use when needed. It can come upto maximum of 2-3 days. 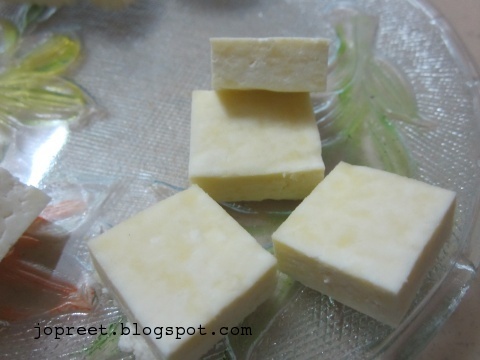 If kept in freezer, it can last upto one week. 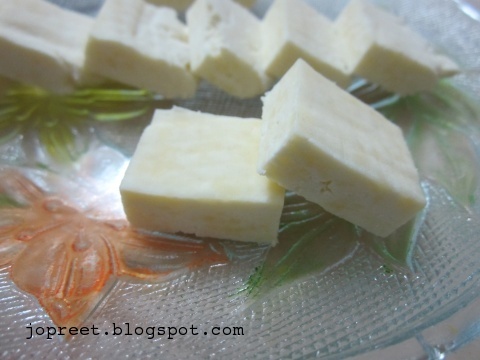 i add either vinegar or nimbu juice instead of curds..next time will try this..cubes look well shaped..